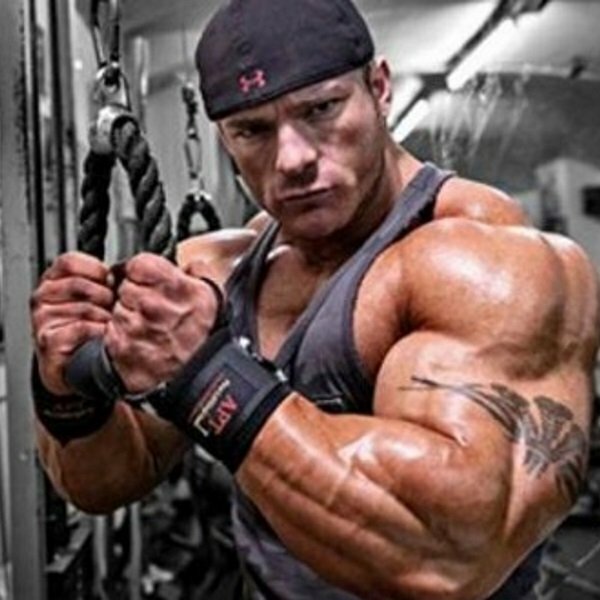 If you’re a devoted bodybuilder with access to internet, you must have heard of James “Flex” Lewis, The Welsh Dragon with undefeated physique who has been winning contests all over the world since the early 2000’s. As a young bodybuilder, Lewis succeeded at building legendary calve size and shape but his arms seemed to lag in a painfully obvious way. But over the next decade, The Welsh Dragon proved himself to be worthy of the highest ranking titles by developing supermassive biceps and triceps that perfectly completed the rest of his killer body. Yes, Lewis is yet another living proof that determination and continuous effort can take almost anyone to the very top, as long as the person sticks to his/her goals and believes in himself/herself. And not only that – we all have the capability to transform our greatest weaknesses into our most spectacular strengths. How do we do that? Let’s learn it from the master. Are you truly connected with your body in a way that allows you to exert a great level of control over the performance of your muscles? Because most bodybuilders aren’t. In fact, they seem to focus solely on weight and resistance and end up performing shallow and unchallenging workouts. Don’t forget who’s doing the real work here – your muscle fibers accept all the workload you place on them but they, being completely unaware of themselves, need your conscious movement-managing efforts to guide them to work towards achieving your personal goals. So ultimately, it’s your mind who has to do this job and control the performing of a certain exercise. When performing a set of reps, instead of letting your mind wander around, try to fully focus on the stretch and contraction on every rep and really feel the way your muscles work. Learn to notice if another body part is taking over the lead when it’s not supposed to and that way you’ll learn how to control the movement to get the specific gains you want. This is the basis for improving your mind-muscle connection, which can be powerful tool for increasing your gains beyond your imagination. “Before, my forearms would always take over. And then I started doing certain exercises and really squeezing, and I became less concerned with the weights. And over time I taught myself to squeeze and get connected with the muscles, and the weights obviously came back up with time. That mind-to-muscle connection was the most important thing”, reveals Lewis. Lewis uses the Weider Giant Set Principle to target his triceps by rotating five different isolation exercises. He begins with rope pushdowns, then moves on to rope extensions (using the same weight). Then he does one set of pushdowns with overhand grip using the EZ-bar, followed by another set with an underhand grip. And for the grand finale, he performs cable triceps extensions. He counts 20 reps of each exercise without any pauses in between and he rests for two minutes between each giant set. After the giant sets it’s time for compound exercises, specifically close-up grip bench presses and dips. When performing close-grip benches, he uses a pyramid pattern that allows him to use heavier weights and fewer reps.
“I tend to use the Smith machine. I ﬂip an incline bench around. And I angle the seat part up, and that’s where I put my head. That way, I can more easily watch what’s happening. My grip is set by touching my thumbs. So I take a grip that is about two thumbs apart”, states Lewis. Lewis is also a great fan of dips, which he performs by trying to reach failure on every set with 20+ reps, using only his bodyweight and making sure to squeeze the muscles as hard as possible during each rep. When targeting the triceps with dips, he tries to keep his body as upright as possible in order to avoid activating the chest muscles. According to him, these two compound exercises are the best way to thoroughly exhaust his arms. The Welsh Dragon always begins his biceps routine with standing alternate dumbbell curls. “A lot of people just throw the weight up. Myself, I try to get a full range of motion, and I turn my hand as much as I can, and hold for a second and squeeze”, he states. Needless to say, this wrist twist is the most important advantage of dumbbell curls and should be utilized to its maximum. After three or four sets of alternate dumbbell curls, Lewis follows with two sets of curling the dumbbells simultaneously. Lewis then continues his biceps workout with EZ-bar curls and hammer curls. He performs the hammer curls in a seated position, alternating the arms. That being said, he keeps the reps in the relatively high 12–20 range on both EZ-bar curls and hammer curls. He is also keen on performing 21-styled two-arm cable curls with the EZ-bar handle, preferably between the EZ-bar and hammer curls. He would do seven reps in the lower range of motion, then seven reps in the upper range of motion and finally seven reps with full range of motion. He then finishes the routine with a few rest-pause reps, done by pausing shortly after each rep in order to squeeze out one additional rep.
As you can see, the most crucial aspects of The Welsh Dragon’s routine are maintaining a high intensity, focusing on contractions and performing a high range of reps. Regardless of his training style, he stresses the importance of the mind-muscle connection as the thing that really helped him bring his physique on a whole new level. However, the key part of this legendary bodybuilder’s approach to muscle building is maintaining his musculature proportionate. According to him, it’s much better to sacrifice gaining an additional inch on a certain body part in order to focus on less developed areas – and he learned this the hard way. Only a proportionate, well-balanced physique can be aesthetically pleasing and count as real success. His advice is to target your lagging muscles on a new way by truly connecting to them and focusing on their performance separately from surrounding muscles and then hitting them with all you’ve got, for as long as it takes.